We had a great Christmas here! One of the best ones ever! I hope you all did too. Time to start reflecting on some of my top posts for 2013 at Organized Clutter. All five of these top junk garden posts are not only in my top ten list of popular posts for 2013 but my top ten posts ever! 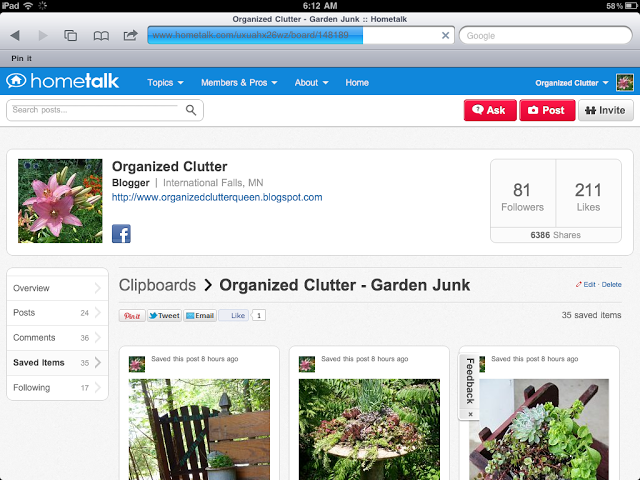 Back in November 2012, my Hometalk Garden Junk clipboard had only 81 followers and 211 likes. My clipboard now has 273 clips and 6567 followers! Thank you for making the clipboard a success! 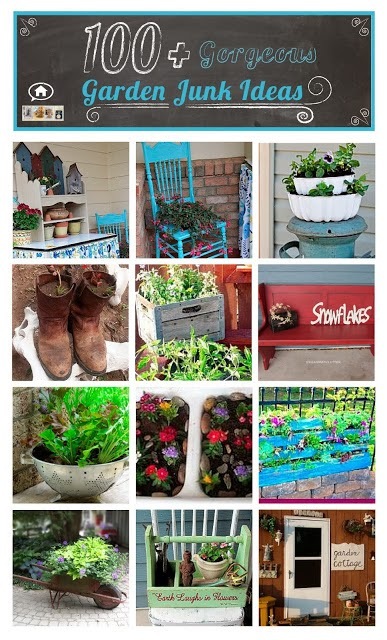 Click here to follow my Garden Junk Hometalk Clipboard featuring my junk garden ideas and the ideas of many other fellow Hometalk gardeners! An old square frame, a galvanized bucket (that was originally a citronella candle holder) and a lobelia plant came together for Top Junk Garden Post Number 2. 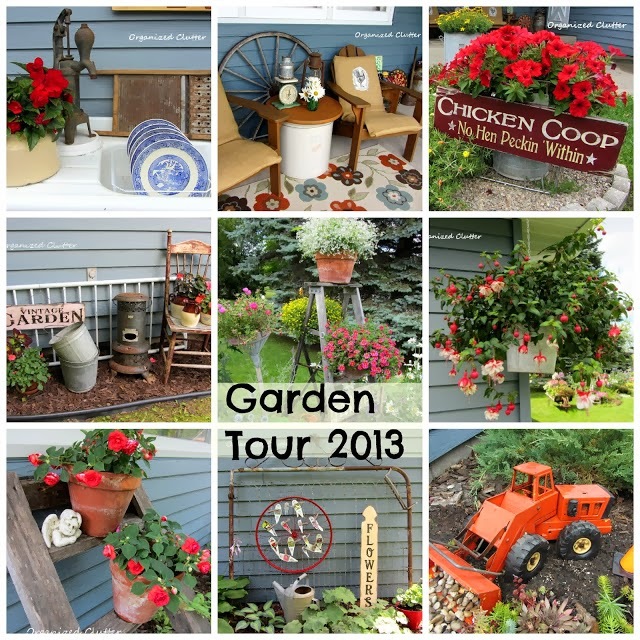 My Garden Tour 2013 features my new potting sink, ladders, funnels, fun rustic backgrounds and lots of annuals and perennials! 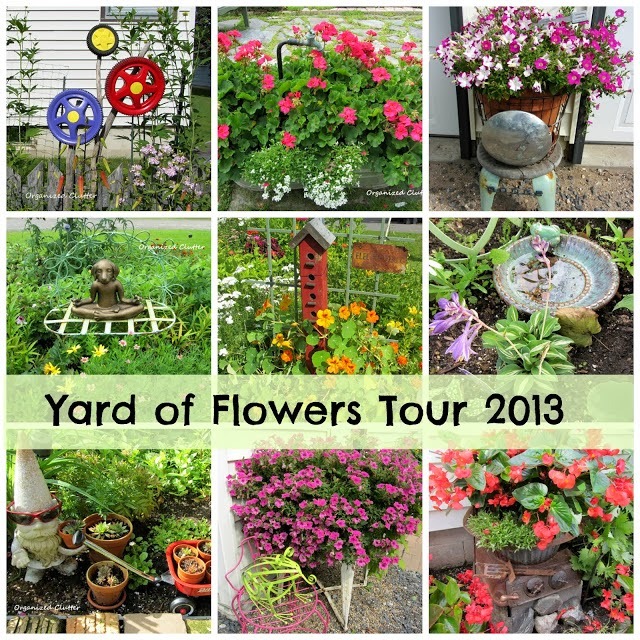 An awesome tour of my sister in law's yard and gardens came in at number 4 on My Top 5 Junk Garden Posts of 2013! Lots of garden whimsy and fun, as well as a super "green thumb" make this tour a must see! If you are a sedum and sempervivum fan, this post details some fun planter ideas that I have used for these hardy succulents, including ice cube trays, barnacles, toy cars, horseshoes, and funnels. 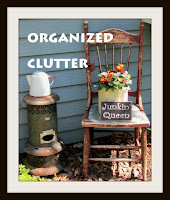 I'm joining Becky at Beyond the Picket Fence for a Favorites of 2013 Linky Party! Succulents ice tray is spectacular. I am looking for one now. Great idea. Soo glad I found you. I absolutely love your style of rustic elegance. I am going to be following you. Hope you'll drop in to visit. Carlene, I adore the lobelia--such a unique and beautiful idea! Thanks for linking up!